At Parnian, we offer many capabilities from in-house design consulting all the way to full service design packages. A master craftsman, Abdolhay Parnian has the experience and the personal in-house factory to construct any design. Specializing in Case Goods such as desks, beds, dining tables, credenzas, and wall units, our professional team of interior designers are committed to providing top quality service and attention to detail from a multitude of vendors for upholstery. We are here to help create a space where you desire to live, work, and play. Our complimentary one hour design consultation at our 15,000 sq. ft. showroom in Scottsdale, Arizona, is the perfect opportunity for you to create and discuss your specific design concepts with our team. Detailing everything from arranging your desired atmosphere, production lead times, budgets, and any other special requirements associated. Give us a call at 480-991-5166. We will help you navigate through our extensive resource library and customize products to create a look that is uniquely your own. Still can’t find what you are looking for, or have a size constraint, we can create one-of-a-kind pieces in our state of the art factory. These pieces will be the envy of all your friends, since they won’t be found anywhere else. Not sure where to start? Our design staff can help from space planning, selecting ideal furniture pieces, fabric or leather selections, wood and stone finishes, to selecting art and accessories. Currently working with a designer? We’re here to collaborate with and assist your designer to achieve the style you are seeking to achieve. For more information on our personal workshop and manufacturing building, please follow the link below. Parnian is the exclusive retailer to over 40 global furniture companies traveling from Italy, Canada, Switzerland, and the United States. 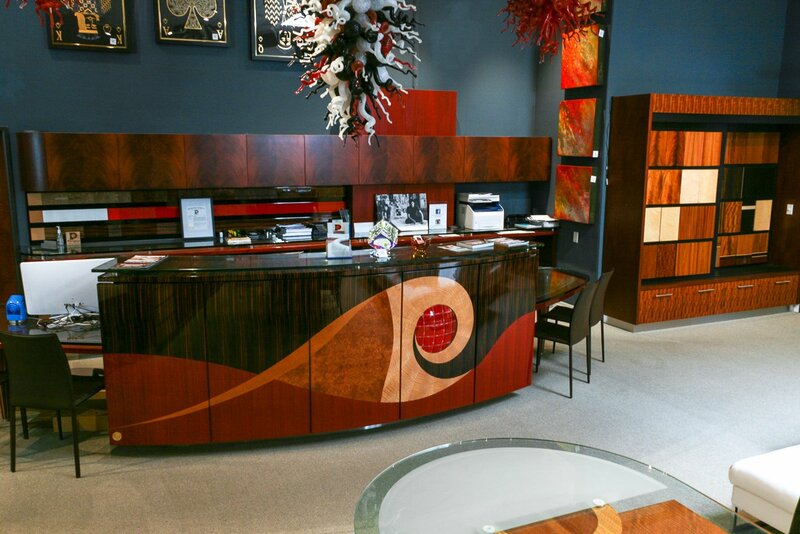 Capable of building the unique and jaw-dropping, we can bring all of your furniture designs to life.